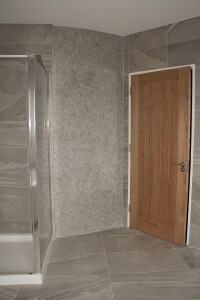 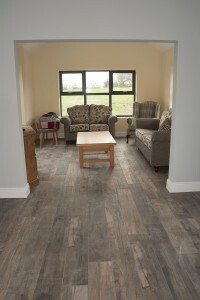 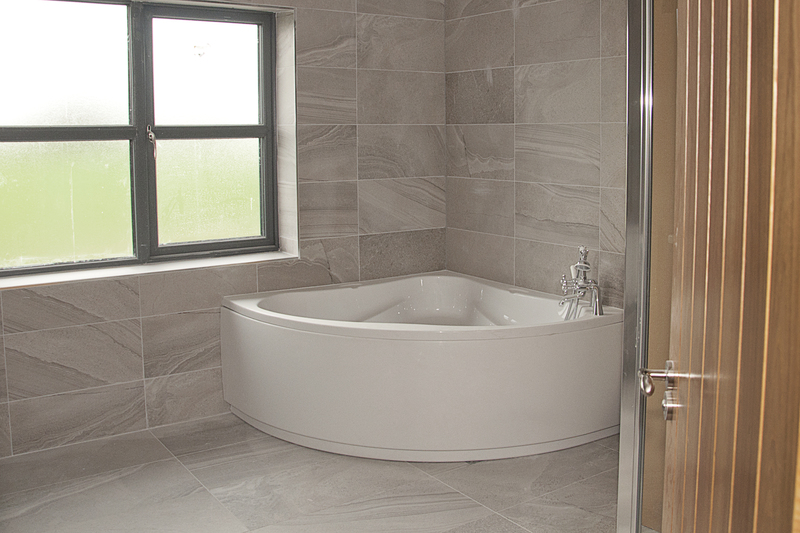 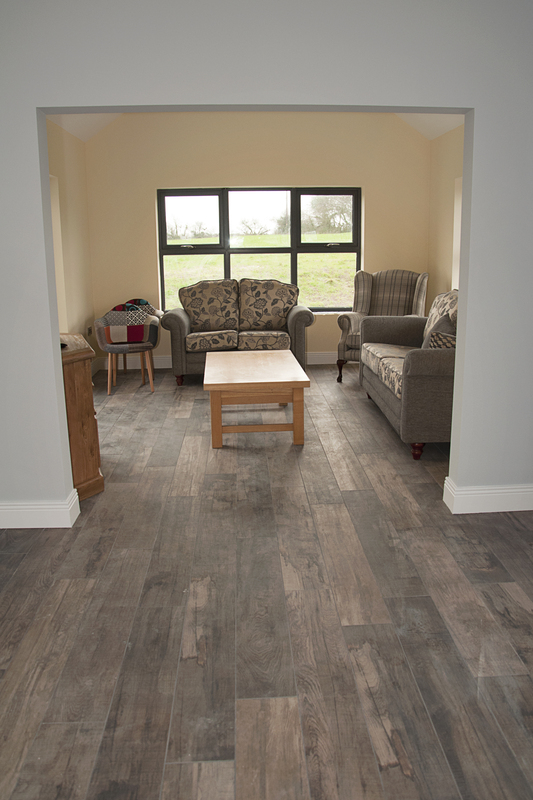 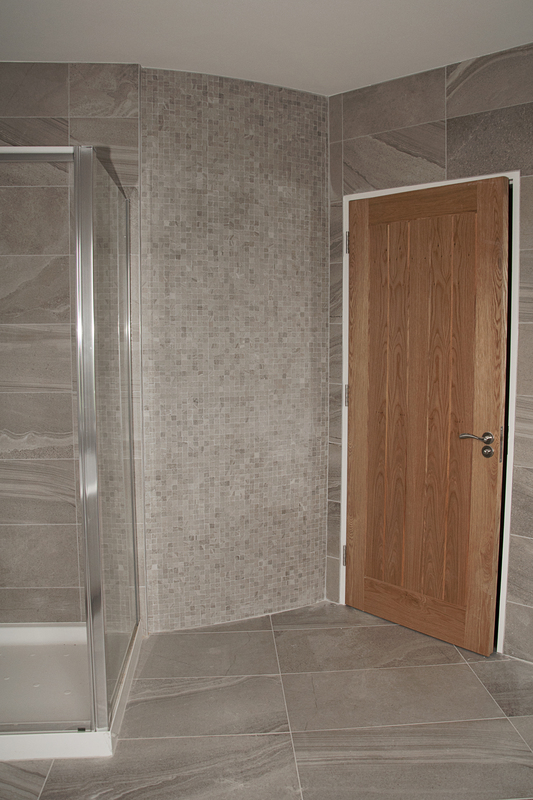 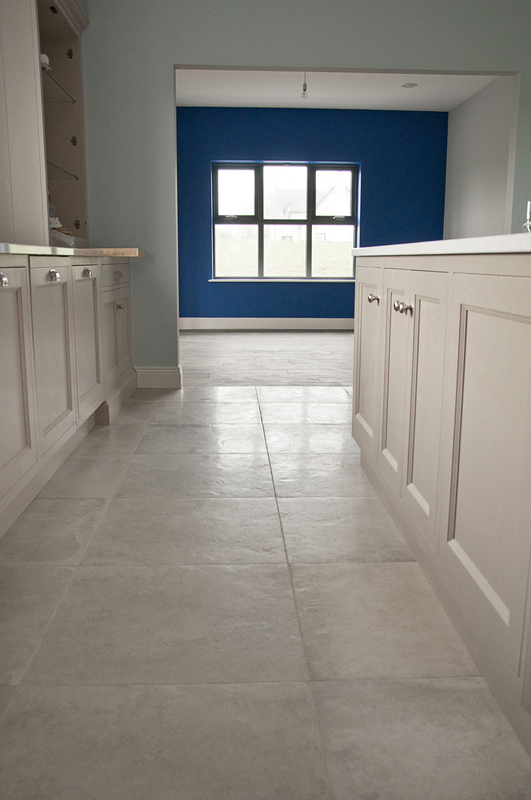 Check out this beautiful country home recently completed here in Wexford and kitted out with tiles from PK Tiles. 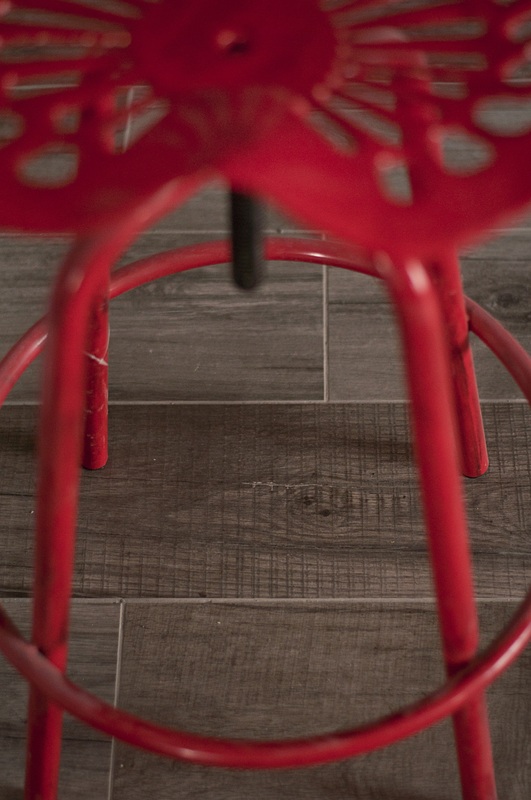 We caught up with the owner of this incredible home this week to take some shots as they are just about ready to move in, we love how they have created their own stamp with their colour scheme in their home, keeping it individual, and have considered this while choosing their tiles. 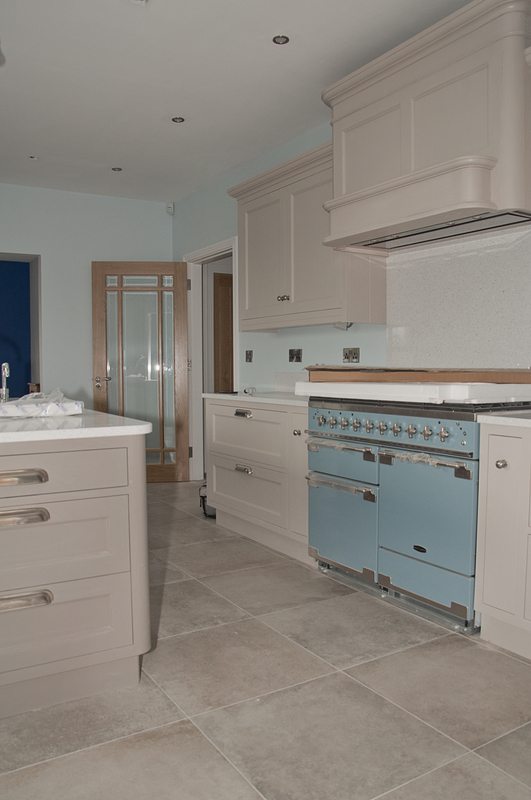 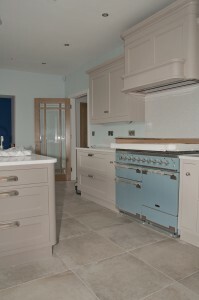 Starting with their kitchen you can see the contrasting colour of the stunning cooker is the focal point, and rightly so, what a beautiful colour. 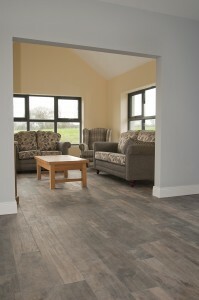 Keeping in with this they have chosen the colour for their walls which accentuates it beautifully. 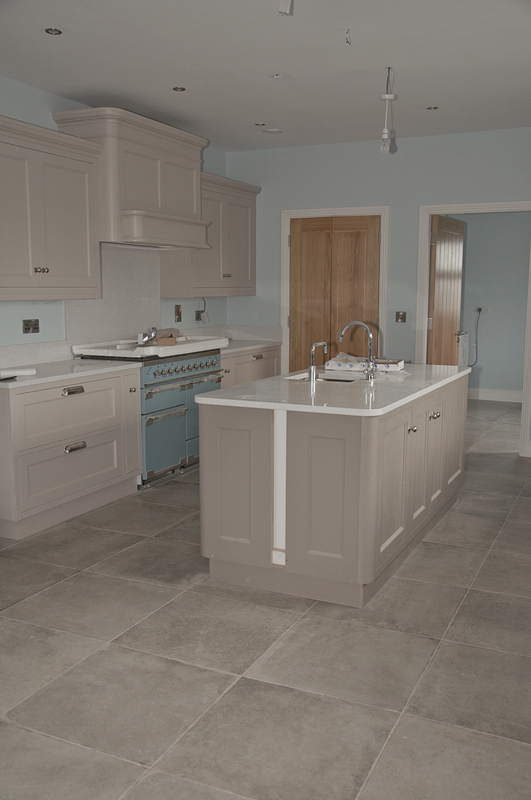 They went for our stunning Unika Ecru Antique tiles in an impressive 60×60 which blend in beautifully with their main kitchen colour and marries it all so well together. 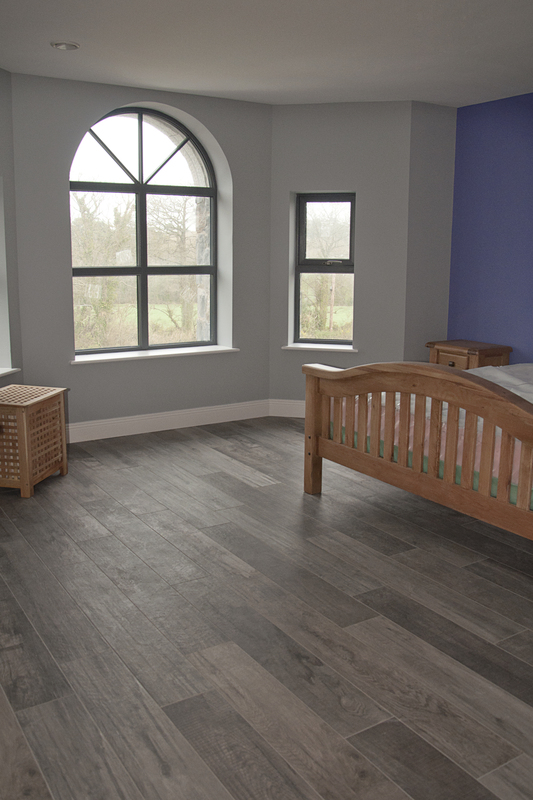 This beautiful room leads us into their dining room and sun room for which they have chosen a very impressive timber effect tile from our Dolphin range… Dolphin Oak. 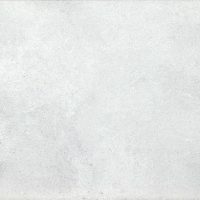 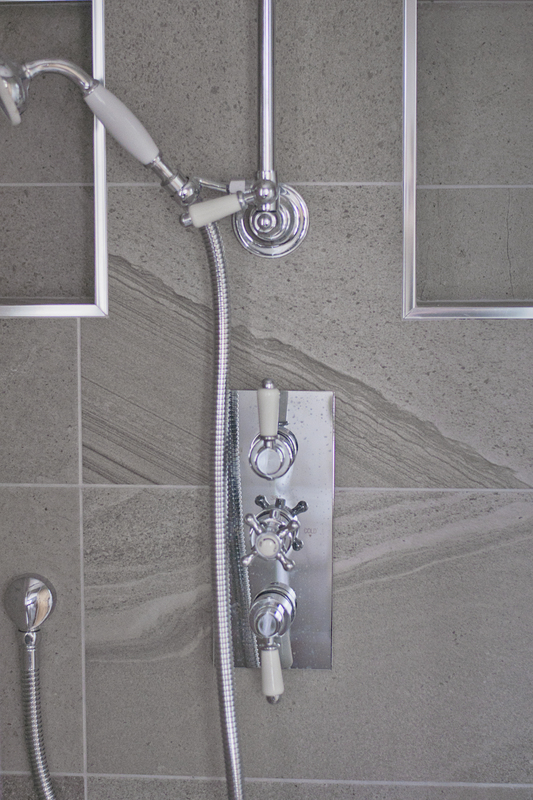 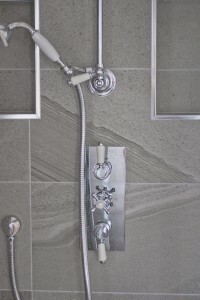 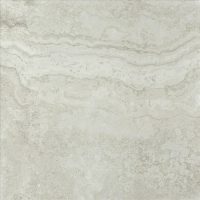 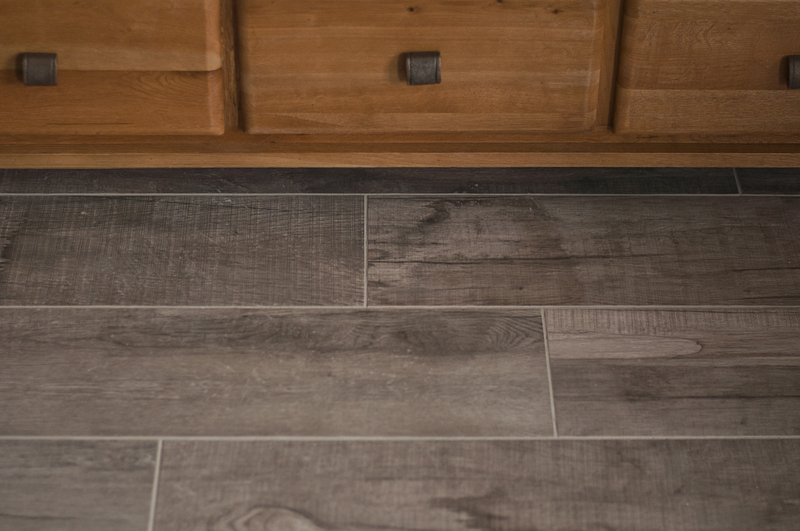 This stunning tile blends so well with their chosen kitchen tile. 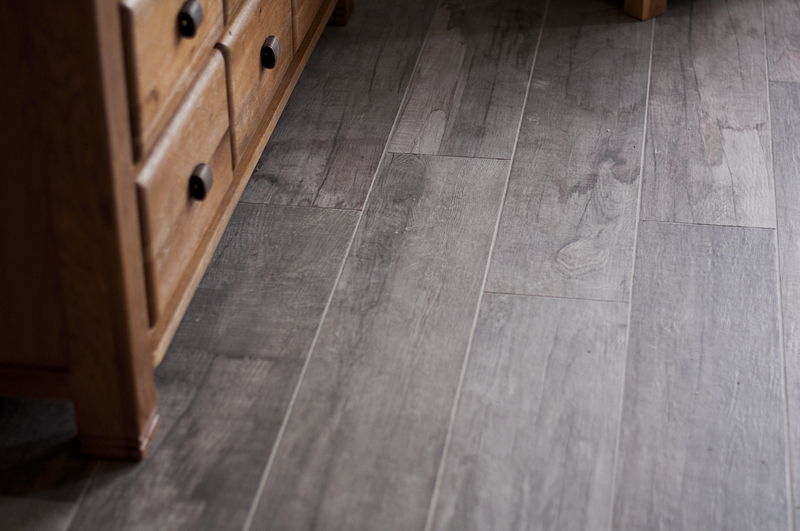 With the look and warm impression of a real timber floor this stunning tile is far more practical and hard wearing for the client. 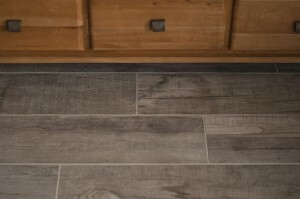 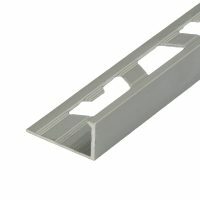 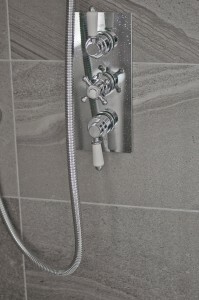 Also a better conductor for their underfloor heating. 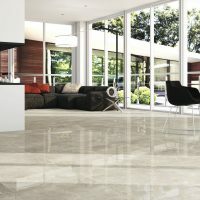 I have no doubt that this will look incredible when fully furnished. 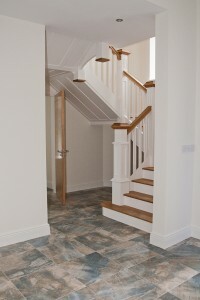 For their hallway, the centre of their home, they have carefully considered the flow of their home and colour scheme. 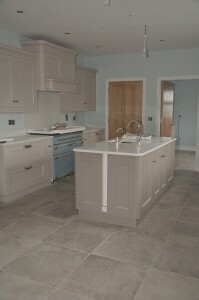 Blending beautifully from their kitchen and keeping in with the colour scheme in their upstairs rooms while injecting colour into their hallway and downstairs WC. 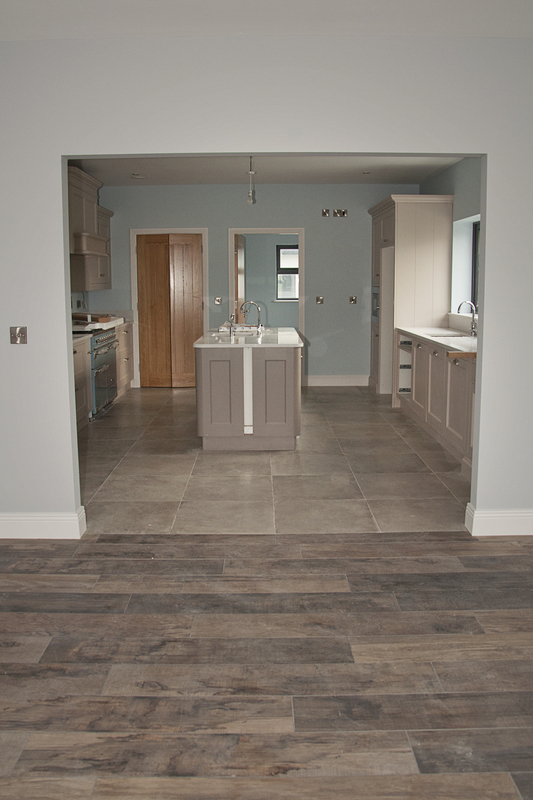 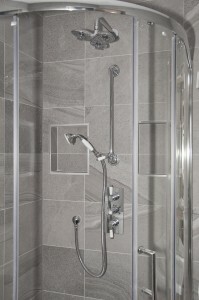 Here they have chosen our amazing Fossil Blue 50×50 tiles. 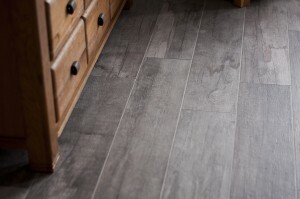 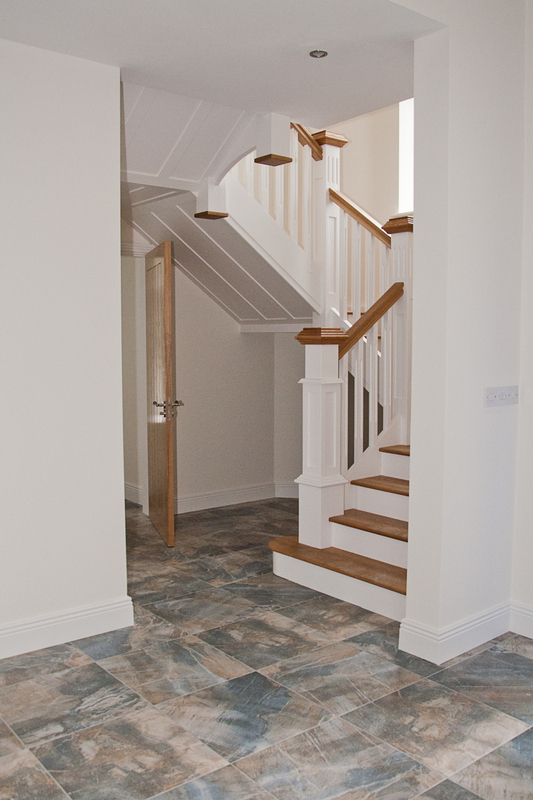 This leads us up the stairs and into the master bedroom where they have again chosen from our timber effect tile range and this time have gone for the incredible Dolphin Grey. 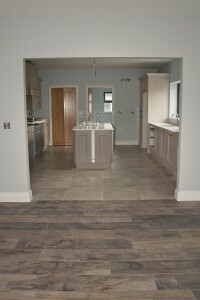 I have to say on first impressions when walking into this room all I could say was ‘Wow’. 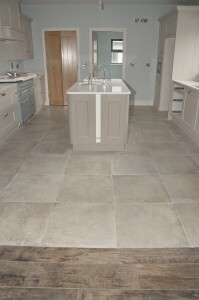 Again the practicality of a tile far outweighs that of timber, yet retaining the snug look, and with their underfloor heating this was just AMAZING and visually very impressive. 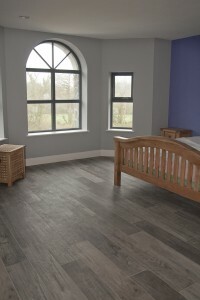 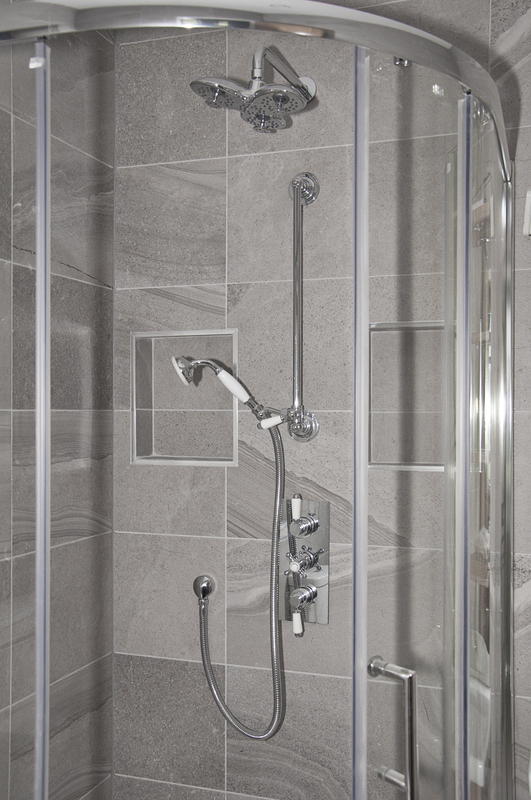 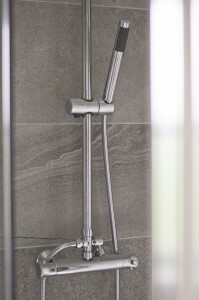 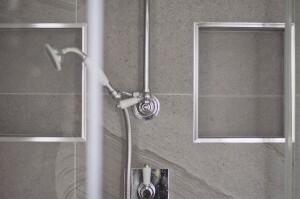 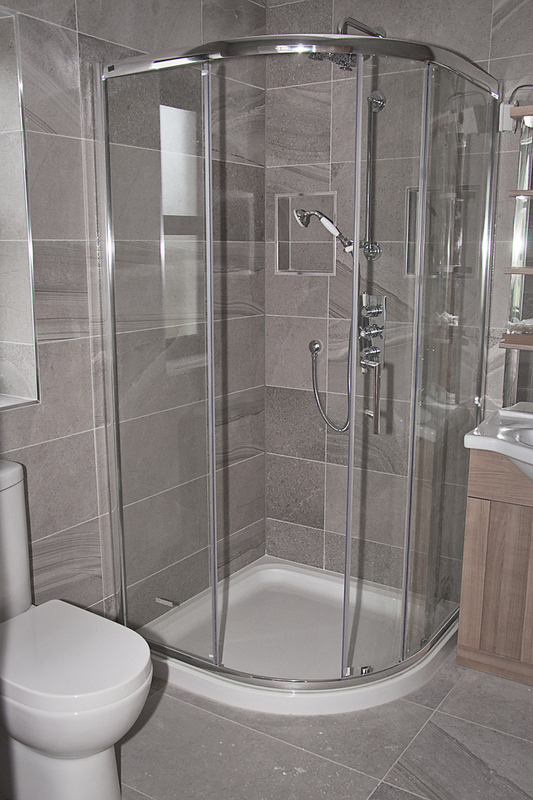 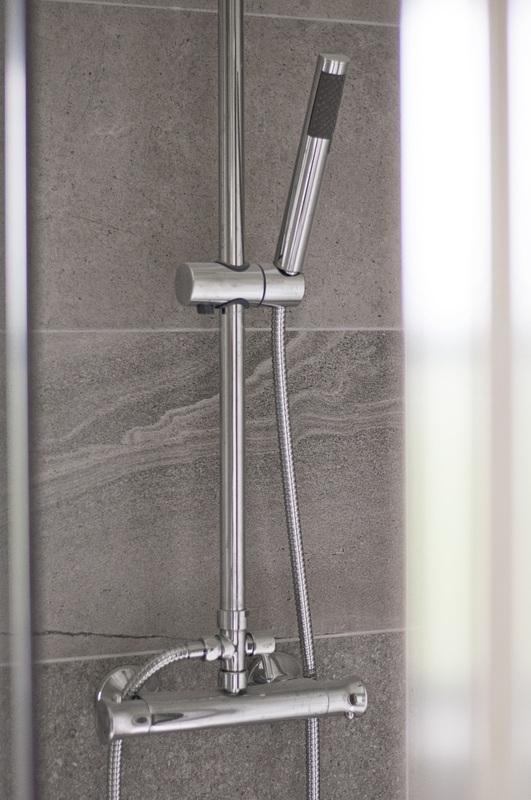 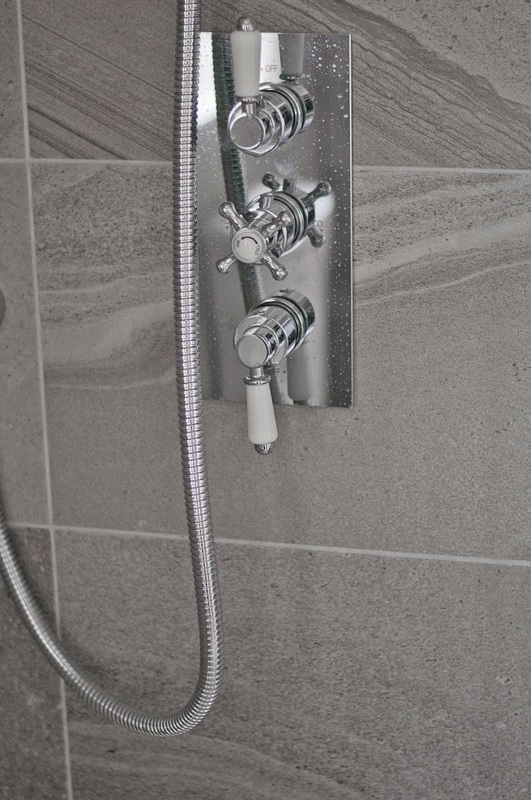 Their En-suite features our amazing Re-work Multi Fog on both wall and floor .. blending perfectly with the Dolphin Grey, again keeping the flow from one room to another. 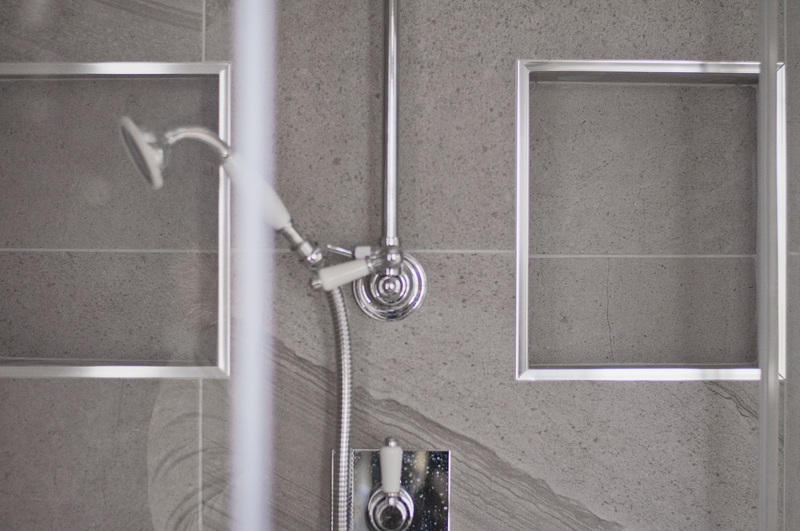 We then go across the hallway to their beautiful main bathroom where they have again kept with our Re-work Multi Fog wall and floor and added the beautiful Re-Work Multi Fog Opus Mosaic to their feature curved wall. Overall with the careful consideration that has been put in to the design of their home and with the choices they have made teamed with their own personality now starting to be introduced and injected into each room we have no doubt that this will make for a stunning home.